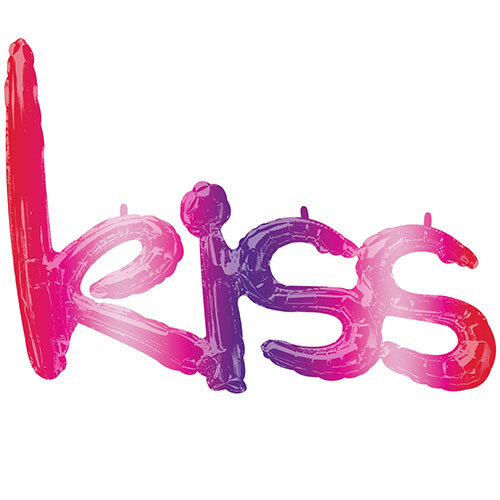 Kiss Ombre Phrase Valentines Day Supershape Air-Filled Foil Balloon 68cm / 27Inch Sold: Single Approx Inflated Size: Height: 50cm / 20Inch Width: 68cm / 27Inch Material: Foil Contains: balloon, plastic straw, ribbon and instructions. Suitable for air inflation only. Self sealing. Balloon delivered flat.